Some people might call Medicare surcharges a good problem to have. 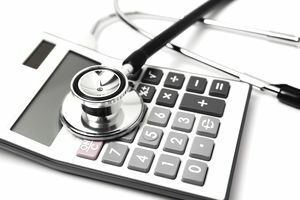 For the household forced to pay extra premiums on top of their usual Medicare costs, it’s an unfortunate expenditure that some can sometimes be avoided. During your working years, you paid into Medicare—albeit reluctantly. You watched as somewhere around 30% of your paycheck never reached your pocket because the federal government took it for taxes, Social Security, and Medicare payments but once you reach retirement, you’re a little more accepting of those decades of deductions because now you receive full health insurance at next to no cost compared to what might have paid while you were working. To be fair, Original Medicare alone isn’t enough to cover all of your healthcare needs. Most retirees have a Medicare Supplement to fill the holes in coverage. That drives monthly healthcare costs higher but for most people, Original Medicare costs only $134 per month. For your Part B premiums, the federal government, thanks in part to your decades of deductions, pays 75% of the cost. If your household is fortunate enough to make more than $170,000 combined or, if you’re single, $85,000, you’ll pay Medicare surcharges, also called an income-related monthly adjustment amount (IRMAA) on top of your normal Original Medicare premiums for Part B and Part D coverage. According to Social Security, they will look at your modified adjusted gross income (MAGI) from 2 years ago. For most people, their MAGI and their adjusted gross income (AGI) will be the same but if you’re paying student loan interest, alimony payments, moving expenses, or some other types of payments, your MAGI may be different. In 2018, they will look at your 2016 return to determine whether or not you owe surcharges because the levels are normally set the year prior when Social Security only has access to returns from the prior tax year. Paying extra is something you might be able to avoid but there’s good news hidden in these extra charges. If you’re married and make $170,000 to $214,000 jointly or $85,000 to $107,000 as an individual, you’ll pay an extra $53.50 monthly for Part B and $13 extra for Part D.
If you’re married and make $214,000 to $267,000 jointly or $107,000 to $133,500 as an individual, you’ll pay an extra $133.90 monthly for Part B and $33.60 extra for Part D.
If you’re married and make $267,000 to $320,000 jointly or $133,500 to $160,000 as an individual, you’ll pay an extra $214.30 monthly for Part B and $54.20 extra for Part D.
If you’re married and make more than $320,000 jointly or more than $160,000 as an individual, you’ll pay an extra $294.60 monthly for Part B and $74.80 extra for Part D.
In 2020, couples making between more than $428,000 and single filers making more than $214,000 will pay a higher Medicare surcharge. Those charges will be determined next year based on 2018 tax returns. Expect the above numbers to change and keep in mind that Medicare is always a hot political topic so changes in Medicare law could change. Beware—each of tiers is an all or nothing charge. You only have to be $1 into the next tier to pay the higher amount. There is no prorating within the tiers. First, you might avoid paying some of the Medicare surcharges by enrolling in a Medicare Advantage plan (Part C) or a Medigap policy. Most people are better off having one of these policies to close the Medicare coverage gaps but if you only enroll in Original Medicare, work with a professional to create a cost-effective plan. Second, because these surcharges are based on your tax return, it’s possible to do some tax planning to avoid paying Medicare surcharges altogether or keep from moving up a tier. If your income will be higher this year to do a one-time gain, you might look at harvesting investment losses to counteract the income, for example. Because surcharges are determined yearly you may pay this year but not next year. Work with a tax professional for help on finding ways to bring your MAGI lower to avoid paying more surcharges than you should.